At KaBlackout, we love hearing from our customers about how they have enjoyed creating their beautiful papercraft projects with our templates. Recently we were sent a couple of pictures showing how our templates can be used in ways we never foresaw when we were designing them. Novaleesi hosts her own popular online gaming channel on Twitch. 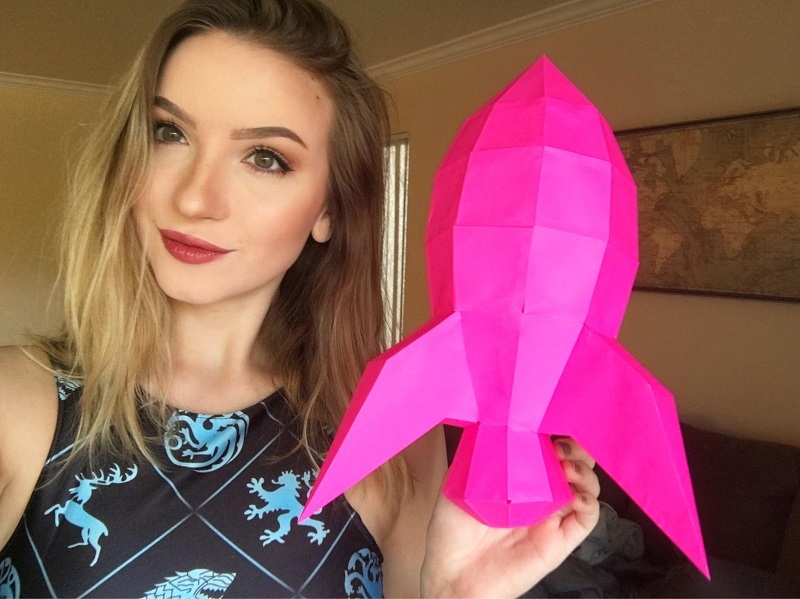 She has made a couple of our Retro Rockets, in fact she built one of them in realtime live on her channel! Our favourite Novaleesi rocket is the “Starship”. This a neon pink rocket Novaleesi incorporates into her shows by marking live interactions with her viewers by sticking star stickers on the nosecone! We’re delighted to see this imaginative use of our papercraft template. 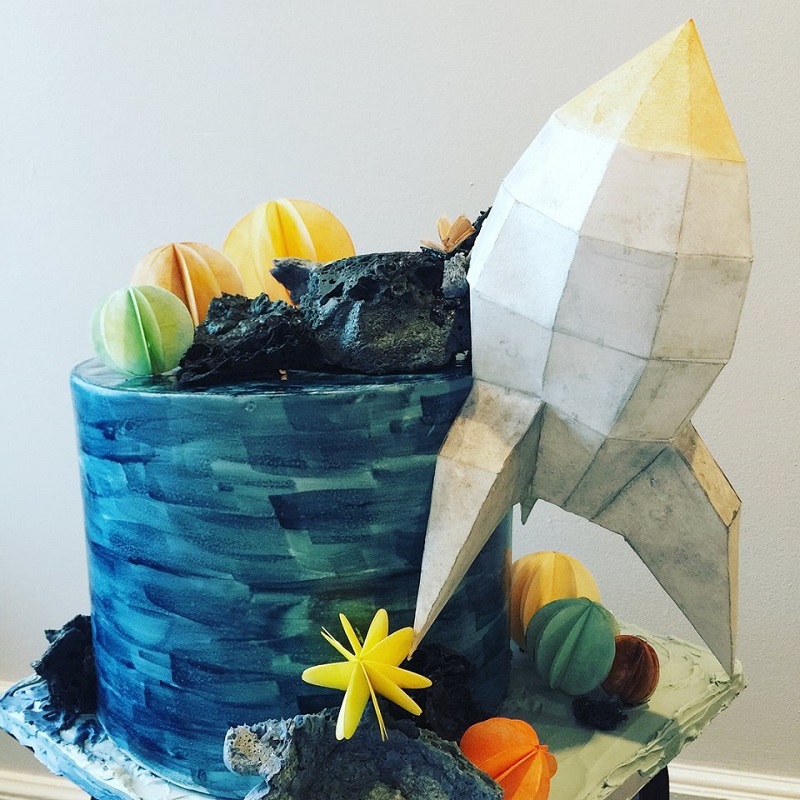 A creator of fantastic cakes, pastry chef Marta Kantorowicz has really amazed us with a spectacular outer space-themed birthday cake using a Retro Rocket template printed on edible wafer paper! We never thought of this tasty use for our template, it shows how imaginative people can be! The cake must have been the centrepiece of the celebration and I’m sure it tasted as good as it looks! Thank you to Marta and Novaleessi for letting us share these pictures of their wonderful rocket-building skills on this blog. 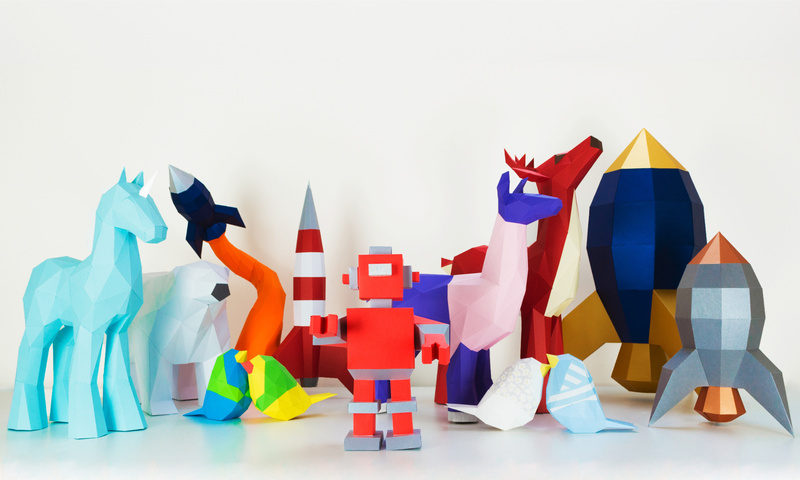 If you have used a KaBlackout papercraft template and want to show us what you have made, please get in touch, we’d love to see what you have been up to! Click the button to visit our Etsy shop and learn more about the Retro Rocket template.